Thankfully, Apple has an easy way to tame this beehive, letting you place your favorite and most-used apps in the center of your Home screen, then adjusting the positioning of the rest of your apps. Using the Apple Watch companion app on your iPhone, go to App Layout to change the way your apps appear on your Apple Watch. Initially, your apps will appear in a sporadic honeycomb-type pattern. You can move an icon by holding down on it until it turns slightly transparent, then dragging it to the desired position. Unfortunately, you can't separate icons, so they all need to be touching one another at all times. 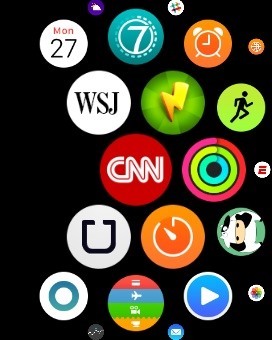 Also to note is that you can't move the position of the clock app's icon. 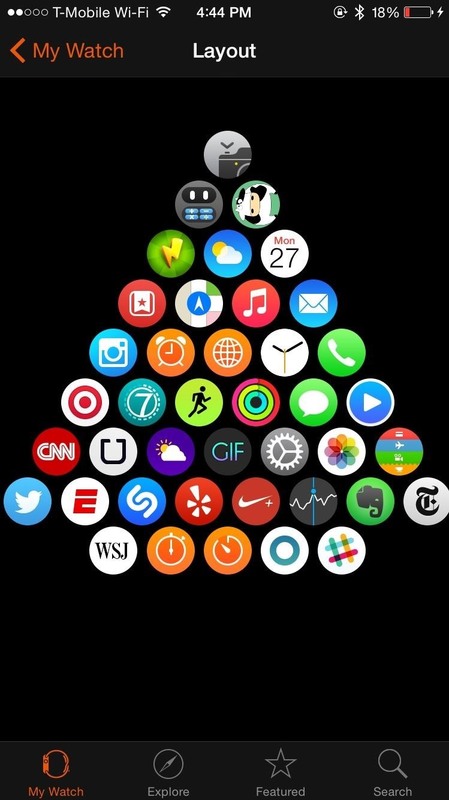 When you unlock your Apple Watch, your Home screen will always appear with the clock app in the middle, no matter where the other apps are situated. 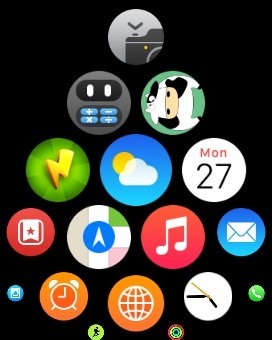 Below you can see what the Home screen looks like on the Apple Watch, with the way the apps are positioned mirroring the screenshots above. Play around to position apps to your liking. 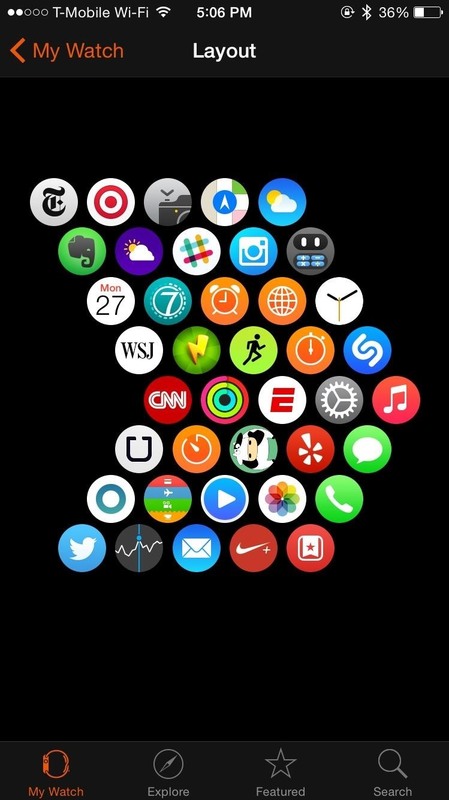 If you've got some creative talent (and some time), you can come up with some pretty unique configurations on your Home screen. Stay tuned, as we'll be updating Apple Hacks with guides on all the awesome features of the brand new Apple Watch. If you have any questions or issues you want answered, or want a walkthrough on something specific, be sure to let us know in the comments below. 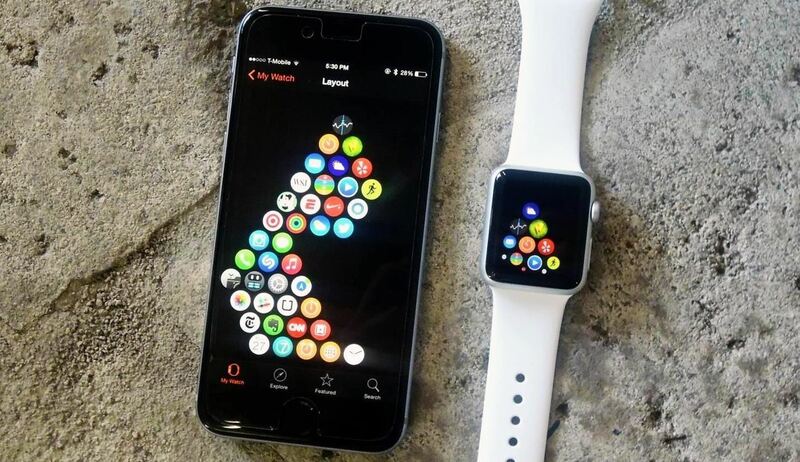 Any idea how to pair a apple watch to an iPod touch?